KABUL - The Afghan election headed for a second-round run-off in mid-June between Abdullah Abdullah, a former opposition leader, and ex-World Bank economist Ashraf Ghani after final results on Thursday showed no candidate had won an absolute majority. The winner will be taking over the presidency at a crucial time with most Western forces due withdraw from Afghanistan by the end of the year, the Taliban insurgency still raging, and an agreement with Washington for some U.S. forces to stay on hanging in the balance. 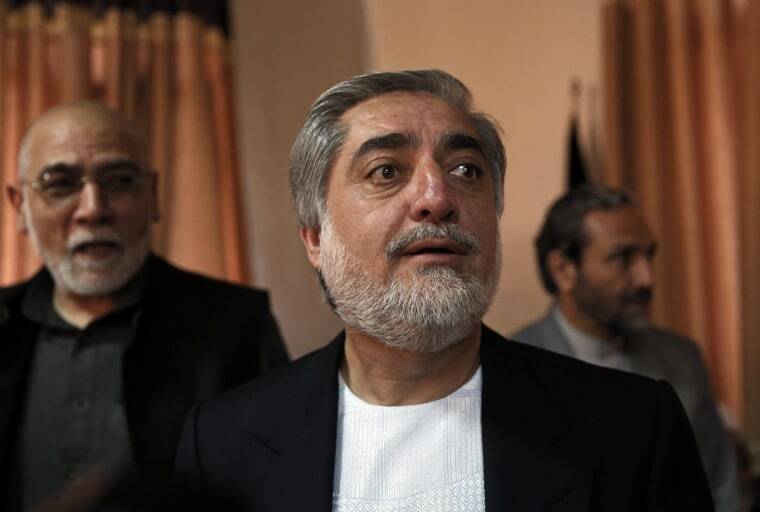 Abdullah, a former leader in the anti-Taliban Northern Alliance, scored 45 percent of the vote in the first round held on April 5, followed by Ghani with 31.6 percent, the Independent Election Commission said. "As the none of the candidates got more than 50 percent of the vote, the election goes to the second round," the commission's chief Ahmad Yousuf Nuristani told a news conference. Former foreign minister Zalmai Rassoul, widely seen as incumbent President Hamid Karzai's favored candidate, finished a distant third with 11.4 percent, but has since joined Abdullah's camp. Karzai was constitutionally barred from standing for a third term, having been first elected in 2004. He earlier held the presidency for two years on an interim basis after Afghan forces backed by the United States ousted the Taliban from power in late 2001. Having served as foreign minister in the early years of Karzai's presidency, Abdullah ran against Karzai in a 2009 election, but pulled out of a run-off due to allegations of electoral fraud and has been a vocal critic of Karzai's administration ever since.